When my Mom and I landed at 15 past midnight at SFO last Tuesday morning, it marked the completion of our two week trek to the South. Our grand journey took us across three states - Texas, Lousiana, and Mississippi - and after only a short time to reflect, all we can say when thinking about the miles we traveled, the various southern foods we tried, and the many touching moments we experienced is wow. While we traveled many miles (we drove approximately 1800 miles when all was said and done), the true value of the journey lay in what we learned and discovered. For any coastal urban resident flush with all that American prosperity and liberalism have to offer, it's easy to write off the South as nothing more than your drive through states. 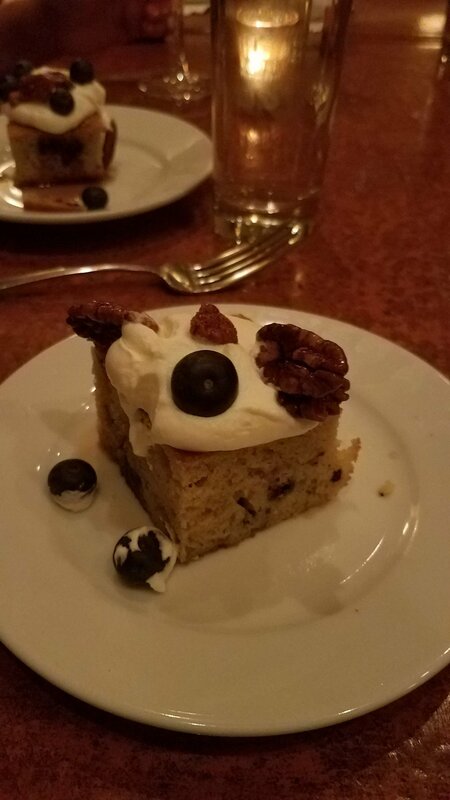 But as we always say here at Cruises & Beyond, there's always more than meets the eye. While we constantly strive to give our customers more than just luxury experiences, we also give them the opportunity to build new understandings of the many cultures around the world. For this trip to the South, we gave ourselves that type of satisfaction. It was an eye-opening experience to say the least, and we are very grateful for the opportunity we had. Our trip began in Dallas, where we were invited to attend the International Ensemble Conference at the downtown Hyatt Regency as part of our membership in the Ensemble consortium of travel agencies. The 4-day conference itinerary was jammed packed with exclusive content, from training sessions that taught us the ins and outs of effective digital marketing for the new age travel industry to motivational talks about how to enhance the customer experience. One of the great takeaways from the conference was this: despite the constant disruption of the travel industry via online platforms, the customer experience still remains the most important aspect of a truly enjoyable travel experience. All of this valuable content, paired with the excellent catered food and event programming, made for an impressive display of the strength of the travel industry going forward. To top it all off, we ended the conference with an evening party at AT&T Stadium, home of the Dallas Cowboys! After wrapping up the conference in Dallas, we made way to our next destination of Austin, the high-tech capital (and the official capital!) of the lone star state. We only planned to spend two nights in Austin, so we tried our best to pack in the essential activities. That meant one thing: food! But of course, we did visit some of the main attractions, such as the very impressive Lyndon Baines Johnson Presidential Library at the University of Texas and Austin's famed 6th street entertainment district (where we bought loads of specially made hot sauces and ate some delectable german sausages). See some of our photos below! If there's anything that you need to eat in Texas, it's their barbecue. Just 19 miles outside Austin's city center is a famous barbecue pit called "The Salt Lick." 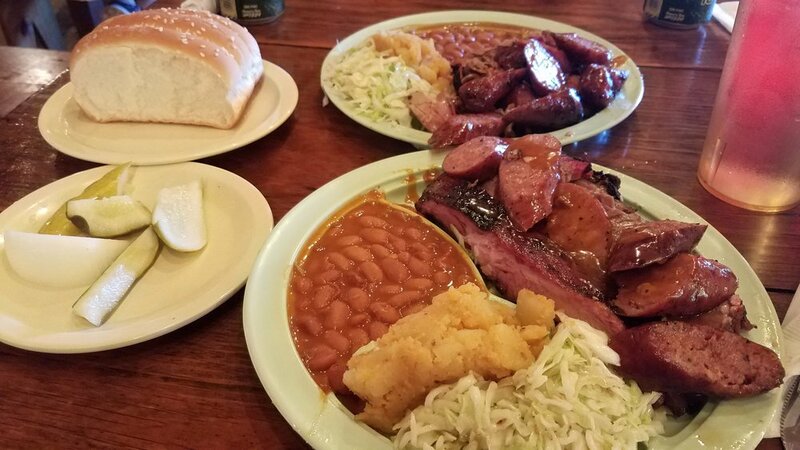 Founded in 1967, the family owned barbecue located in the Texas Hill Country has been serving their famous, mouth-watering barbecue ever since. One of our clients recommended this place to us, and we knew that we couldn't pass up the opportunity. So on our way out of Austin to San Antonio, we made the necessary pilgrimage. 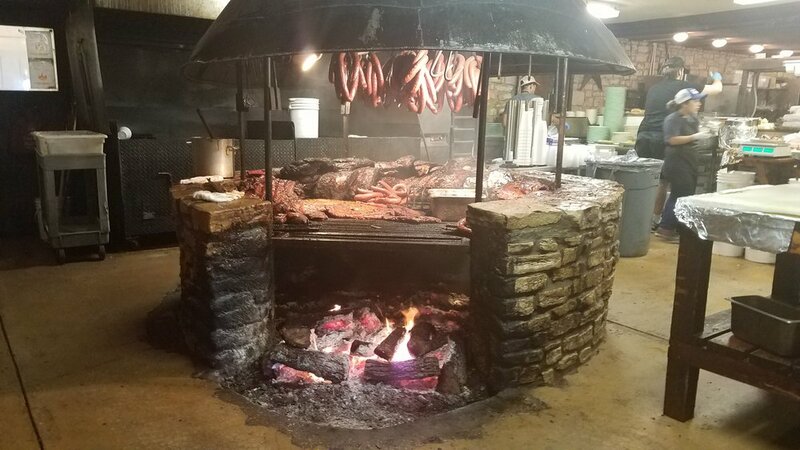 As you walk into "The Salt Lick," the first thing you notice is their big, classic barbecue pit. Powered by the dense oak that fuels the fire, one immediately falls in love as their senses are filled with the aromas of a true Texas barbecue. Brisket, ribs, and sausages are laid out sizzling on the grill as they consume the flavorful smoke and get cooked to perfection. My mom and I shared two plates, Thurman's choice (brisket, pork ribs, and sausage) and the pork ribs and sausage plate. The waiter asked if I might have the lean or marbled brisket. I chose marbled to experience the ultimate tenderness of their beef and boy did I make the right choice. One bite into the brisket and I knew I hit the jackpot. The juicy, smokey flavor of the meat coupled with the sweet charcoaled exterior made for one of the ultimate barbecue experiences of my life. The pork ribs and sausages were up to par with the brisket, and contributed to our overly satisfied palettes. Now that our stomachs were filled to the brim with excellent Texas meat, we continued our journey across Texas. Our next stop: San Antonio. We only had one night in "Military City USA," and could only knock out some of the main attractions, like the Alamo and the city's famous river walk. It was a quick stop, but enjoyable nonetheless. After our quick evening in San Antonio, we set out for Houston, where we stopped off in the afternoon to visit a long-lost cousin in law of of my Mom's. After 46 years of no communication, purely by chance at a Southern Chinese Reunion in 2014, the first time my mom traveled to the South, she found the contact information. They had finally arranged to meet in Houston this time. One thing my mom remembered fondly of her cousin-in-law was the kindness with which she showed her and her siblings when they were very young in Hong Kong. That kindness obviously didn't fade, as she graciously cooked a large and delicious dinner for us fit for a family of eight. After some much needed catching up, my mom and I left for Louisiana. We stopped in Lake Charles for the night, a good halfway point between Houston and New Orleans. First thing the next morning, we set out and drove to New Orleans. Once in the city famed for its Mardis Gras celebrations, we checked into the attractive Maison Dupuy Hotel. 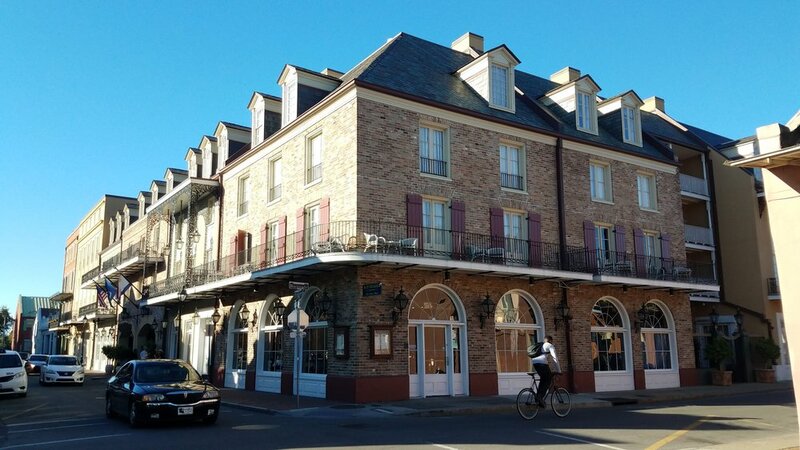 This quaint boutique hotel located in the heart of the Vieux Carre offers a time warp into 18th century New Orleans. The old French architecture and the pleasant live jazz music being played in the outside atrium graced our arrival. Only two blocks from the center of the bustling French Quarter, it's location was impeccable. 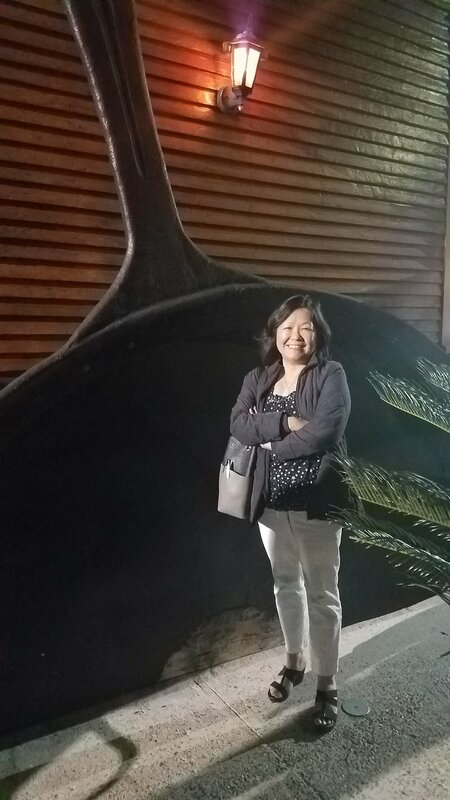 Later that evening, I arranged to have dinner with one of my old middle school friends who was attending medical school at Tulane University. We decided to eat at a Cajun restaurant on the other side of town called Atchafalaya. 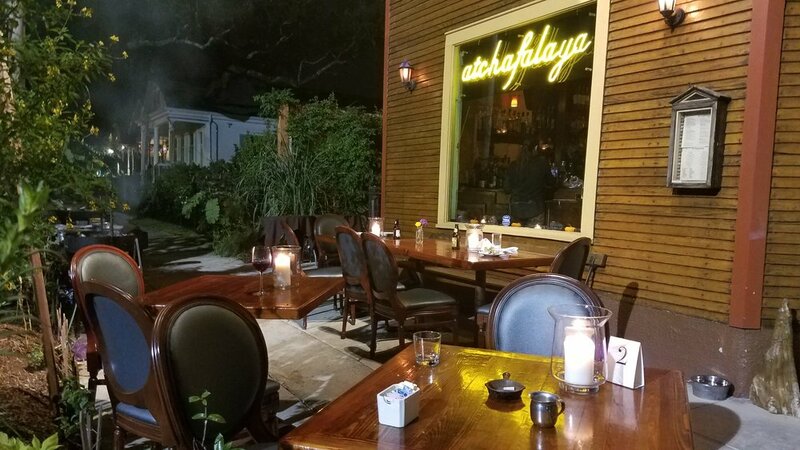 The restaurant itself was located in an unassuming area, perched on the corner of an old residential neighborhood. But once you walked inside, you got the sense you just entered the center of New Orleans' Cajun lifestyle. 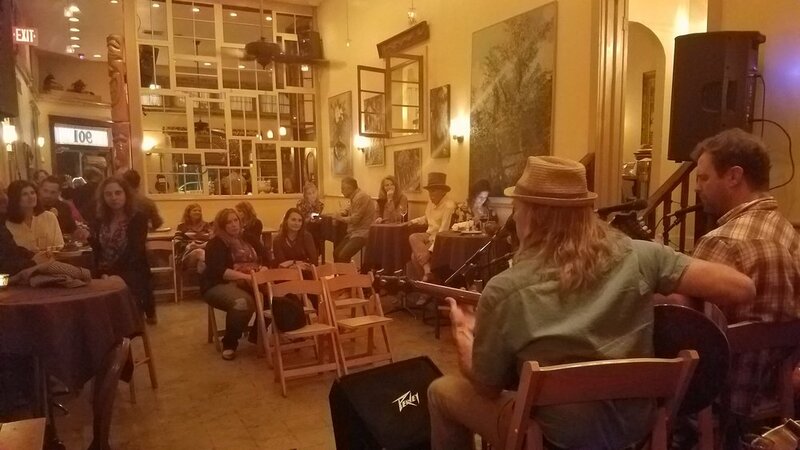 We satisfied ourselves with delectable portions of shrimp and grits, fried seafood, gumbo and grilled oysters, all the while live folk music played in the background. Indeed, it was an enjoyable night. 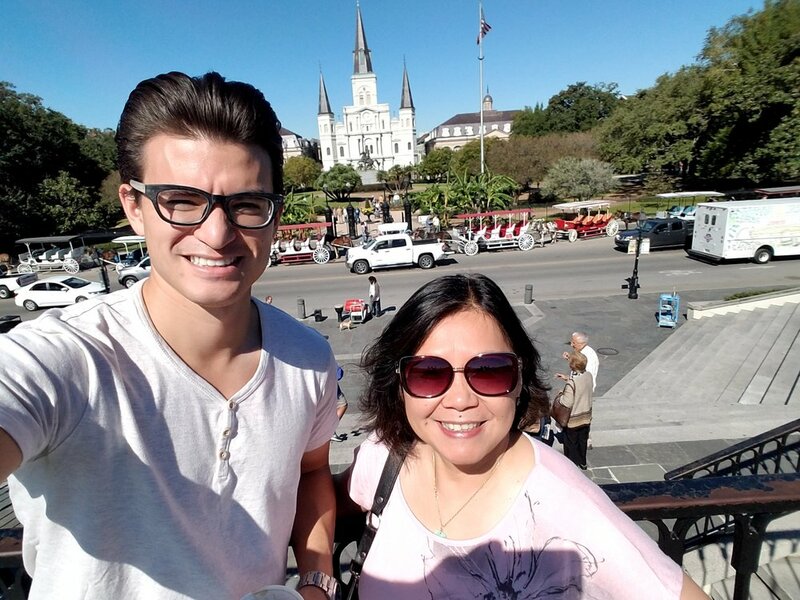 The following morning, before we continued our journey to the Mississippi Delta, my Mom and I did a final walkthrough of New Orleans' French Quarter, visiting tourist sites like the St. Louis Cathedral and the original Cafe Du Monde. I knew that one night in New Orleans was not enough to fully appreciate the full spectrum of its unique culture. 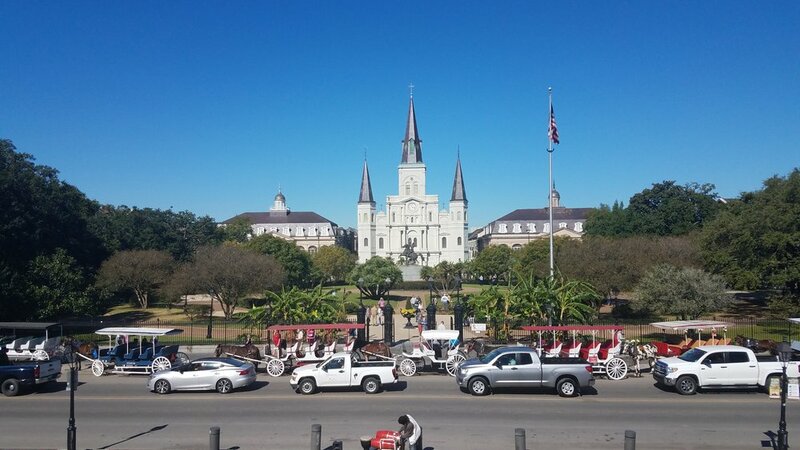 As I sat down with my Mom and Cafe du Monde enjoying a cup of coffee and their sweet beignets, I quietly acknowledged that I would be back soon. One of the main purposes of our trip down south was to attend a reunion for a community of Chinese families whose heritage traced back to the Mississippi Delta region. 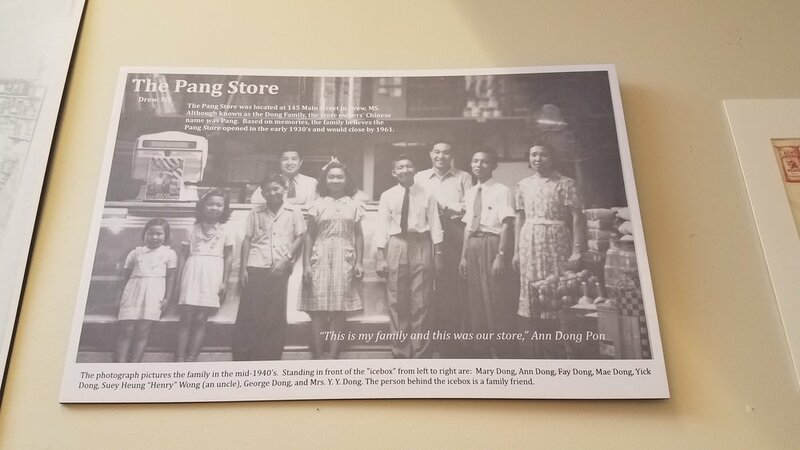 While my Mom and I didn’t at the time knowingly have a direct link to the Mississippi Chinese community, we nonetheless serve as travel agents for many who are part of this community. But as we all know, life can grace you with many surprises. We made more than our fair share of discoveries the next two days, discoveries which helped answer many questions of our family history. When one thinks of Mississippi, Chinese heritage doesn't come to mind. One might think of cotton fields, the blues, and blacks and whites but not an immigrant group of Chinese people making a living in the deep south. My mom had attended the reunion of the same group of people 3 years ago. This time she brought me so that I might learn more about this little known but crucial piece of American history. When we arrived at Delta State University in Cleveland, Mississippi for the reunion, I was immediately shocked by the number of attendees. By my estimates, there were more than 300 crowding the halls of Delta State's student union, both young and old. My mom and I had fun mingling around for a bit, catching up with old clients and meeting new faces. It's always surprising to talk to Chinese folks who have a deep southern drawl. It's two characteristics that you really can't get accustomed to unless you've been living in the south your whole life. At least not for me, a half Chinese boy who grew up in San Francisco. While we were in Texas, my mom told me the story of how her grandfather had immigrated to the United States (a rather stunning feat considering the Chinese Exclusion Act was in full effect at the time). He eventually settled in the Mississippi Delta region on account of other Chinese settling there and once he established himself, he arranged for two of my mom's uncles to come over. Since that fateful time my mom and grandmother's side of the family split, little became known of the grandfather and two uncles, except their names. Over the next two days, equipped with a photo of a family tree, my Mom asked around the reunion community about her grandfather and two uncles. To our surprise, some of the older members of the reunion community recognized one of her uncle's names. Although they didn't have many stories to tell, the fact that they specifically remembered one of our family members provided us with equal amounts surprise, happiness and captivation. 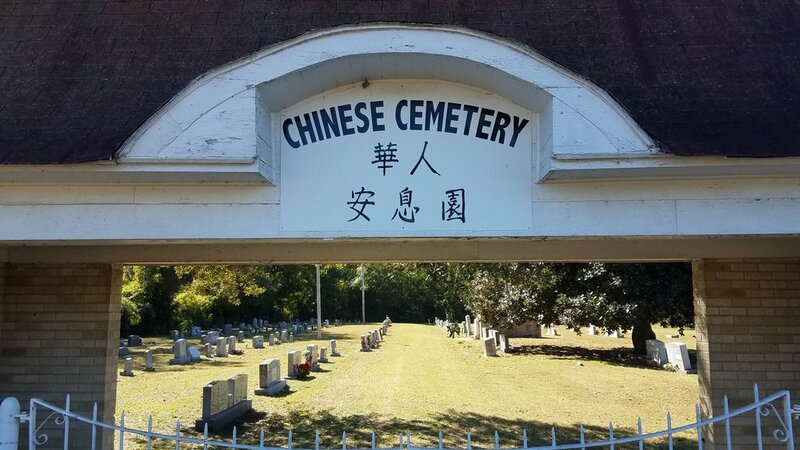 On our last day in Mississippi, my mom and I decided to visit the Chinese cemetery in Greenville. Because Chinese headstones include their village origins, we knew there would be a good chance we might find at least one of our long lost family members buried here. Lo and behold, my mom recognized the family surname of her mother's engraved on one of the headstones. Looking closely at the engravings, she also confirmed the name and the village location. This was indeed one of her uncles. 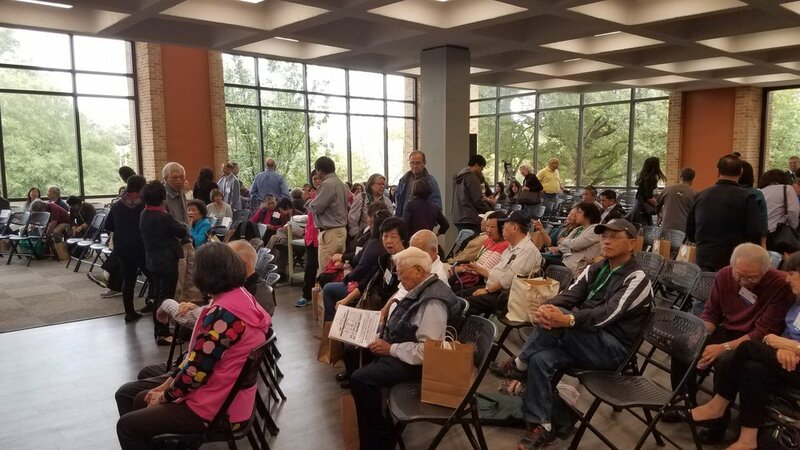 As we made our way back towards Dallas to fly back to San Francisco, my Mom and I could only think of how special it had been to not only share these experiences with our clients and friends but to enhance our own understanding of the forgotten Chinese Americans. 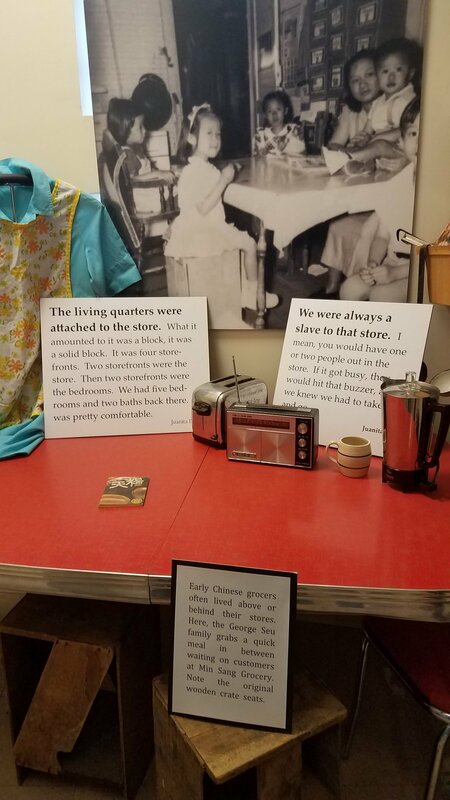 Little did we know, we would also be learning about our own family history, an experience that exceeded our expectations. Because we are so involved in international travel, sometimes we forget to look to our own states for the cultural enrichment that we seek throughout the rest of the world. The United States is rich in history and culture and does not deserve to be overlooked as a unique travel destination for you or your family. Our trip to the South convinced us of this, and we look forward to opportunities to further explore this great country's many cultures. Our trip was indeed beyond just travel, only fitting for what we do here so well at Cruises & Beyond.